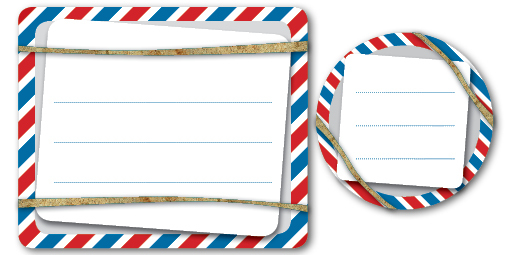 Printable Labels: Airmail Style Shipping Labels | Print, Cut, Paste, Craft! Here is a very nice idea for unique shipping labels: use the rectangular label to write the receiver address, and the circular label to close the envelop with your address. You can also use them for a scrapbooking project or to label a box of mementos from a trip. Click the image to download the pdfs printable file.